Firebird Dance Studio is an award-winning Bay Area dance school and performing dance company based out of Cupertino, California. We have been sharing our passion for dance with students and audiences since 1991. We offer a unique dance program for dancers from 18 months to adult. Our program combines world dance with contemporary, lyrical, ballroom, and Latin dance elements. We give students a chance to learn, connect, and perform, shaping their character, and making lifelong memories. Our studio is the proud six-time winner — and Hall of Fame inductee — of the Best of Mountain View Award in the Performing arts category, among many other awards & honors. For our dancers & students, we offer an inspiring facility at Firebird Creative Center with experienced, talented instructors. After many years in Mountain View, we have moved in August 2018 and are thrilled about our new location, Firebird Creative Center, in Cupertino. Our beautiful new studio in our primary Cupertino location — with hardwood floors, floor-to-ceiling mirrors, and award-winning muraled walls — is the perfect place cultivate not just technique, but imagination, expression, and creativity. We are delighted to also be offering classes in two new locations: Palo Alto and Foster City. For our audiences, we offer unique performances with our signature original choreography, radiant costumes, and memorable music. We perform throughout the San Francisco Bay Area, and have also toured in L.A., Las Vegas, Canada, Mexico, Russia, Ukraine, and Israel, among others. To see our next performance, view our upcoming events. In 1991, Firebird Dance Studio — known then as the Lysaya Dance School — was born. Founded by world-renowned teacher and choreographer Roza Lysaya after her immigration to the US from the USSR, Firebird began as a small class of 6 students, focusing on traditional folk dances from Russia and around the world. Fast forward to the present, and we now have well over 100 participants ranging from the age of 18 months in our youngest group to the adults in our performing dance troupe, Firebird Dance Theatre. Under the direction of award-winning dancer, teacher, and choreographer Lotta Lysaya Burton since 1999, Firebird has continued to expand with more classes and performances, and win over larger and larger audiences locally, nationally, and abroad. Taking inspiration from different techniques and cultures around the world, our repertoire of dances and classes has evolved into a unique program with a fusion of modern, folk, lyrical, ballet, and ballroom dance. Nearly 25 years later, our horizons continue to broaden with each new dance and project that we undertake. Firebird has a long tradition of creating original dance shows and unique choreography for our performing dance troupe, as well as for our dancers ages 3 and up. Some highlights from over the years include 2006 when, as part of our 15th Anniversary celebration, Firebird Dance Studio and Theatre premiered their unique reinvention of the classic story, Alice in Wonderland, followed by a tour to Montreal, Canada, with a performance at the prestigious Place Des Artes. In 2007, Firebird debuted, Quintessence, a unique theatrical experience in which director Lotta Lysaya Burton created a world where Firebird dancers interacted with live performances from the world-renowned Licedei Clowns and famous Russian rock bands Ivan Kupala and Redi Elvises. In 2008, Firebird Dance Theatre premiered Simcha, a warm and celebratory dance show, embracing Jewish heritage and family, tradition, change, and love. In 2011, their fourth original show, Imaginarium, was born, and explored the rich and vibrant world of a vintage, travelling circus. In 2012, as part of their 20th Anniversary Celebration, Firebird performed Best of 20, a retrospective look at their most beloved dances and shows from over the years. Director Lotta Lysaya Burton has also created a number of beautiful, shorter dance suites, including the Rosh Hashanah Suite, Puppet Show Suite, and most recently, our namesake Firebird Suite, which premiered in 2014. Read more about our previous original shows on the Theatre page. Firebird has had a rich history of traveling and performing. They've travelled to Russia's International Children’s Center, ARTEK, winning two consecutive years at ARTEK's annual dance festival. They have toured in Israel — performing at the International Freindship Festival, in Knesset, Israeli Parliament — and in Canada — including standing ovations at Montreal's massive Place Des Arts Theater. They've also performed on Las Vegas’ Fremont Street, and aboard the Carnival Cruiseship Elation. Firebird has also organized summer workshop programs for their dancers and creative exchanges with other performing groups nationally, as well as in St. Petersberg, Jerusalem, Montreal, Puera Vallarta, and Cancun. Firebird has received dozens of honors over the past two decades. Most recently, in 2012, 2013 and 2015, Firebird became a three-time winner of the Best of Mountain View Award in the Performing Arts Category. In 2015 after their third Best Of award, they were inducted into the Best of Mountain View Hall of Fame. Check out an extended list of awards. Firebird has been honored to perform for S.F. Mayors Willy Brown and Gavin Newsom, the Society of Artistic Heritage of Quebec, and the Israeli Parliament, among others. In 2004, they received the “Outstanding Performance” honor from the Quebec Society of Artistic Heritage, and in 2006 were invited back for the Quebec Folklore Dance Festival in Montreal. They've also performed on the finest Bay Area stages including the Palace of Fine Arts, Herbst Theater, S.F. City Hall, Union Square, Zellerbach Hall, and the Yerba Buena Center for the Arts. Lotta studied choreography at the St. Petersburg Institute of Performing Arts in Russia. She then was a soloist in the Moldovenyaska Dance Company, with whom she toured Europe and Asia, and performed on Russia's most prestigious stages: Kremlin Palace, Bolshoi Theater, Luzhniki Hall, and others. Following that, she began her teaching and choreography career at Sperantza, one of the top five children's dance ensembles in the former USSR. In 1989, Ms. Burton immigrated to the US and studied Ballroom and Latin dance at the Arthur Murray Academy of Dance under Terry Leone, dance colsultant to major Hollywood films Salsa and Mambo Kings. Lotta then toured the US with the show, Kings of Mambo and taught at the Arthur Murray Dance Studio, where she was consistently on the elite list of Top 20 teachers in the Country. In 1994 she joined her mother, founder of Firebird Dance School, Roza Lysaya, and began teaching and choreographing at the school. Lotta has been Firebird's artistic director since 1999, and her choreography has won the admiration of countless audiences around the world, including mayors, members of Israeli Parliament, and fellow directors and choreographers from Boris Eifman of the Eifman Ballet to Pavel Brun of Cirque du Soleil's "O". Igor Harea studied dance and choreography at the Chisinau Institute of Performing Arts in Moldova, with an emphasis in folk and classical dance. He received his teaching credentials in 1991. 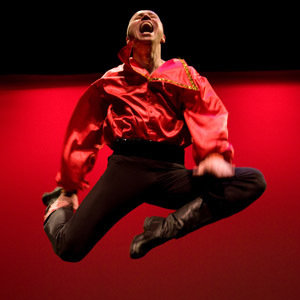 He danced professionally with Moldova's Chora Mare, touring the US and Europe extensively. Igor also taught dance technique at the Pedagogical University, before moving to the US. Since 1999, he has been Firebird's rehearsal director, much-loved principal instructor, and a soloist in Firebird Dance Theatre. Inga Lysaya studied at the St. Petersburg Cultural Institute, majoring in choreography. In the 1990's she was a soloist in San Francisco's Khadra Folk Dance Company, before joining Firebird as an instructor. 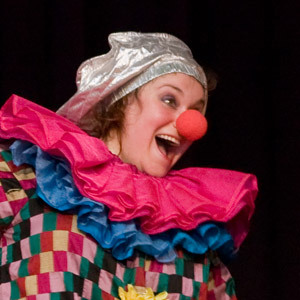 Since 2000, she has been teaching both group and private lessons to all ages at Firebird, performing in Firebird Dance Theatre shows, and of course, being Firebird's beloved, iconic clown character winning over the hearts of all our students, and countless audience members around the world. Maria graduated with honors from the St. Petersburg University of Arts and Social Sciences — majoring in Ballroom and Contemporary Choreography — as well as studying under many of Europe’s top trainers in various dance forms, gaining excellent skills in Contemporary Dance, Classic Dance, Barre technique and Jazz. She's won many Ballroom & Latin championships, including multi-time Polish Open and Slovenian Open Champion, and a finalist in the Austrian Open Grand Slam, among others. Maria has choreographed in the Netherlands ATG British Theater, where she also trained Dutch Junior Chamions in Ballroom Dance. 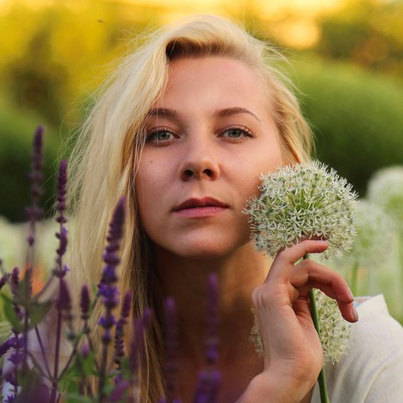 In Moscow, she was choreographer of the Moscow Children's Dance Academy, and a soloist dancer in Russia’s best contemporary companies including “BDDS”, “Buy Buy Ballet” and “Far For”. Maria joined Firebird in 2017 and is excited to share her knowledge and passion for dance with Firebird dancers. 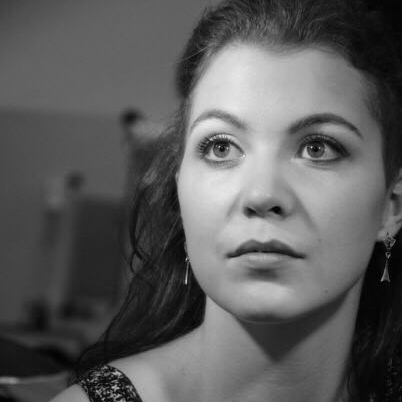 Irina Ushakova graduated from the prestigious Saint Petersburg University of Arts and Social Sciences as an Artistic Director and Choreographer. She collaborated with Cirque Du Soleil artists as a choreographer on “The Amphibian Man” show. Irina continued her career as a principal dancer of the world famous Russian State Music Hall in Moscow. She’s performed over 1000 shows on stage and created more than a hundred shows for children, among which she's won Grand Prix at multiple Russian and International Festivals. Irina is a versatile dancer, with years of vigorous training in Ballroom, Latin, Hip-Hop, Popping, Jazz, and Folk dance. She joined Firebird in 2017 and is thrilled to bring her multi-faceted dance experience to Firebird's students. Ilya Vasiliev received rigorous Ballroom and Latin training since age 7, studying under top European trainers and coaches, and at the Russian State University. He's won numerous Ukranian and International championships including being 2-time winner of the Polish Open Championships, winner and repeated finalist of the Slovenian Open Championships, and a finalist in the Austrian Open Grand Slam, among others. He's had ample experience training dancers and performing. 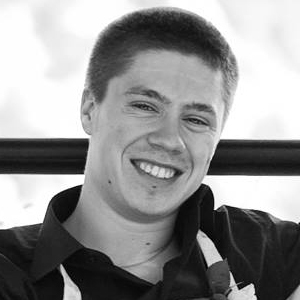 In 2015, Ilya joined Firebrd, heading up our new Ballroom & Latin dance program. Anna Burton has been dancing with Firebird since she could walk. She is a soloist in Firebird Dance Theatre and was also a soloist in the Bearcat Ensemble from 2009-2013. She has travelled to New York for intensive workshops with Broadway Dancers including Adam Perry, and she has years of formal training in world dance, contemporary, jazz, tap, and ballet, studying under Lotta Lysaya Burton, Firebird Instructors, and Robyn Tribuzi, among others. She joined Firebird as an instructor in 2013, and teaches dance technique to various ages. — Created by OlgaShow, originally aired on Comcast San Jose Channel 15 in December 2014 and January 2015. View Firebird's Custom Mural Art, created by Yes Design Shop, and see the process of creating the Wall Art here. Featured as a Top 10 Event for Fall 2014: "This imaginative troupe combines many dance forms"
"Their strong, controlled movements seem grounded both on the floor and in midair. The dance is familiar yet quirky, drawing influences from folk, modern, ballet and ballroom dance as well as theatre." "The Firebird Dance Theatre dancers soared on stage ... the performance showcased inventive, complex, and well-executed choreography based on traditional Ukrainian, Russian, Armenian, Moldavian, Argentinean, French, Latin and Gypsy steps. [Their dance, "Spectacular"] with its highly creative story, energetic choreography, and eye-popping costumes, lived up to its name." "Lotta Burton [is] one of those talented people"
call us, or — best of all — pay us a visit at our studio! @2018 Firebird Dance Studio. All Rights Reserved.